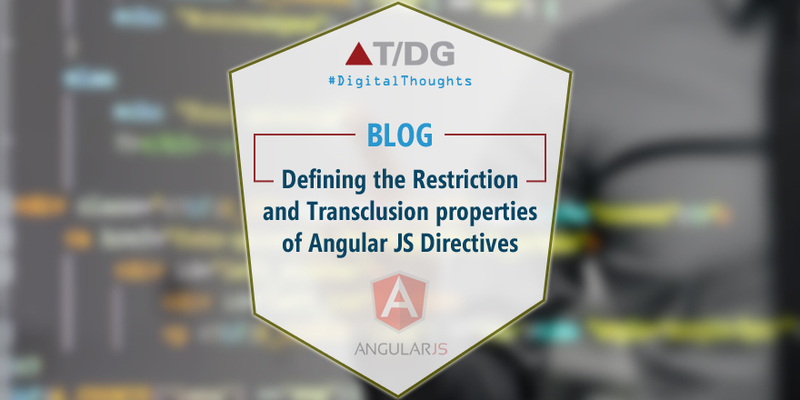 Restriction and Transclusion are the properties of AngularJS directives. Restriction property is used to defined the use of directives where as Transclusion property is used to define the place for external content. Element (E) and Attributes (A) directives are most widely used where as Class (C) and Comment (C) directives are rarely used. 2) ng-transclude : ng-transclude itself is a directive, placed inside the another directive template and it define the place where external content will get placed. Transclusion Demo Content inside the custom directive.